Don’t let a busy schedule stand in the way of feeding your pet a healthy raw pet food diet. I often hear pet parents say they can’t feed their pets a species-appropriate diet because they don’t have time to make a balanced raw diet at home. Or that their pet store does not carry raw pet food. But luckily for health-conscious pet parents, Darwin’s Natural Pet Products offers Dog and Cat Food Delivery right to your door! 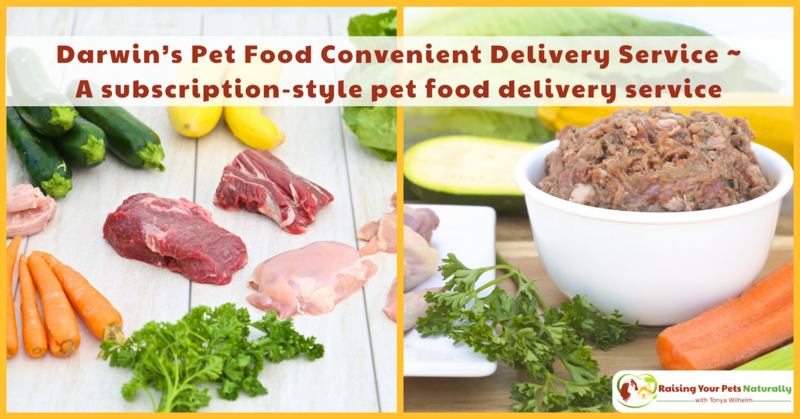 Darwin’s pet food convenient delivery service – a subscription-style pet food delivery service. 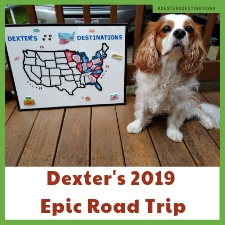 But let me back up a little and tell you why I’m a fan of Darwin’s Natural Pet Products and why their brand is part of both Dexter’s and Nutter’s food rotation. Darwin’s starts with human-grade ingredients—nothing you would find on the cutting room floor or in a large garbage bin waiting to be turned into “pet feed.” No, all ingredients are human-grade, high-quality, and fresh. All of Darwin’s recipes are grain-free and fully balanced to meet the needs of your carnivore. I believe in feeding Dexter and Nutter antibiotic- and hormone-free meats in their daily food. This is actually a deal breaker for me when choosing a raw dog or cat food. Darwin’s Natural Selections line uses meat from animals that are cage-free (free-roaming) or pasture raised, grass-fed, and free of steroids, antibiotics, or artificial growth hormones. They even visit every farm that raises the animals used in their meals to ensure they employ good farming practices and treat both their animals and employees with respect. At Darwin’s, the food is made fresh, then immediately frozen in vacuum-sealed packages to preserve quality and nutrition naturally. Darwin’s takes pride in being the freshest in the market by delivering the food within 4-6 weeks from production! Darwin’s lists a manufacture date on each meal, instead of an expiration date. If you are new to Darwin’s, raw food, or just don’t know where to start, Darwin’s offers a free menu consultation service. They also offer a HEALTHY prescription diet line. Intelligent Design™ Veterinary meals for dogs are specialized formulas designed to provide extra support to dogs facing certain health issues. Darwin’s Pet Food not only offers an amazing raw pet diet, but they ship direct to consumers, eliminating any middleman. 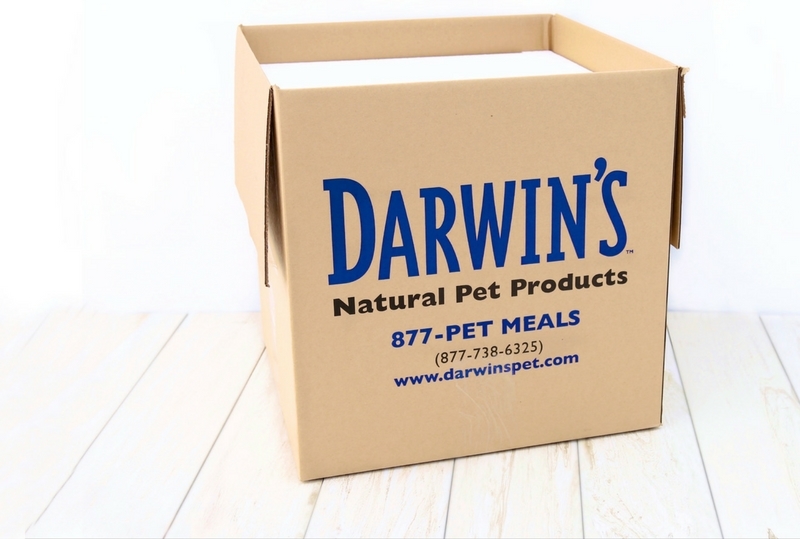 Darwin’s Natural Pet Products convenient delivery service is a subscription-style pet food delivery service. Remember, each ready-to-serve raw pet food meal is delivered 4-6 weeks from the manufacture date, so your pet’s food arrives fresh and dense with nutrients. 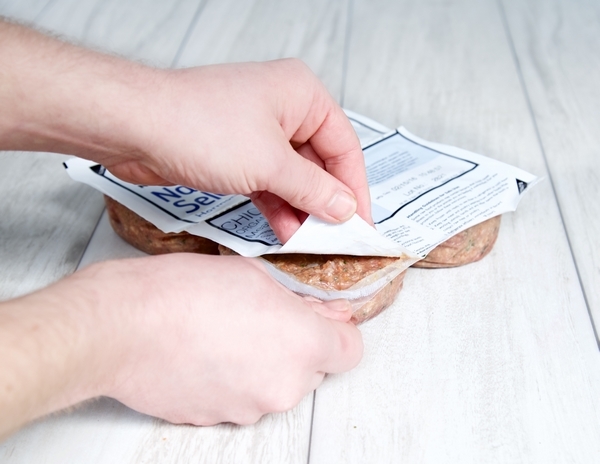 Your pet’s food is shipped in insulated containers and packaged in an 8-ounce frozen, vacuum-sealed bag with an EZ-Peel tab in the corner, making it a breeze to open without a mess. 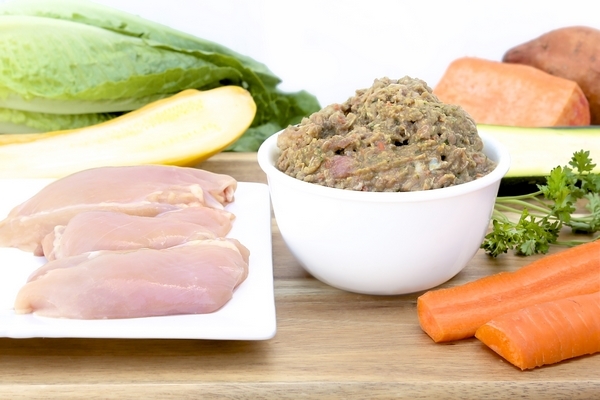 All you do is simply thaw and serve a complete and balanced raw pet meal. Darwin’s tailors each pet food delivery schedule to meet the individual customer’s needs. 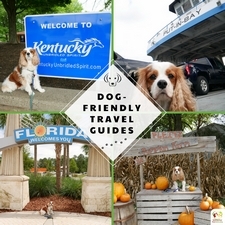 All pets and families are different in their needs, which is why I recommend contacting Darwin’s to set up your pet’s raw pet food meal delivery plan. Your order can contain a mix of different meals with different proteins, so you can provide variety in your pet’s diet. If you would rather just test the waters, you can order Darwin’s special introductory offer. 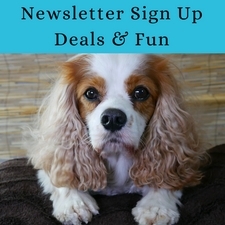 What’s really nice about Darwin’s is that you will receive an email reminder before each shipment and you can change or cancel your pet food delivery service at any time. Their customer service representatives will be happy to assist you. As an added bonus to subscription members, Darwin’s offers a variety of raw bones and chews that you can add to your order. Grass-feed beef marrow bones, raw duck necks, green tripe, and even venison jerky treats. 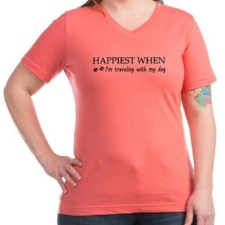 Your dog will be hopping for joy! 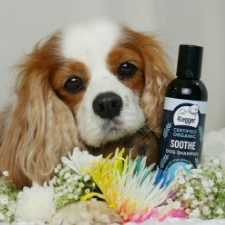 Don’t take my word for it, visit Darwin’s Natural Pet Products and take a look at their values, products, and services. 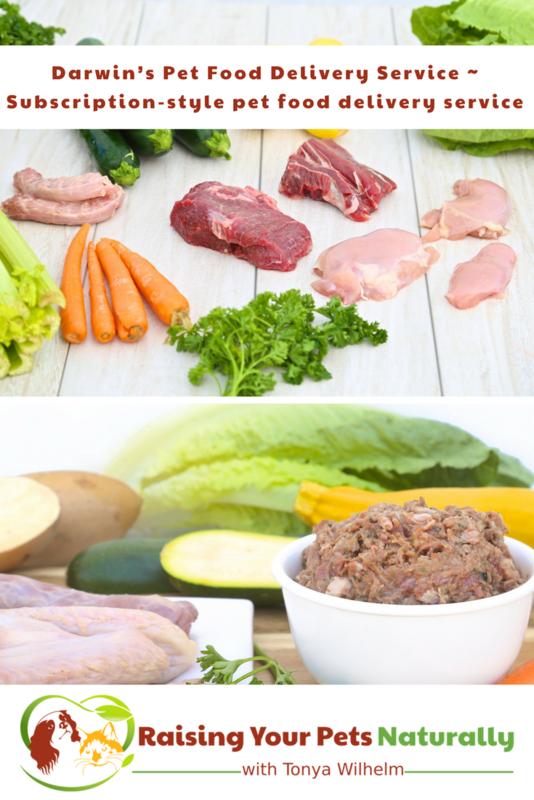 Do you feed your pet a raw diet? Tell me in the comments. Was on line researching this company,and some of the reviews on their customer service left alot to be desired. Have they corrected some of these issues? Am looking to start my cockers on a raw diet. Hi, Kathy. We have not had any issues, and when I see someone post on their FB page, I see a quick reply. I guess they only way to know, would be to contact them directly (I’m not an employee). This is Aimee from Darwin’s. We are currently working on training 2 new agents & developing a customer portal now. Hopefully we will be able to keep up with demand soon.